According to research from the Bank for International Settlements, foreign exchange trading generates an estimated $5.3 trillion daily - making it larger than other financial markets. Often, it’s dominated by large international banks and corporations, which work around the clock to trade and convert international currencies. As well as enabling trade between countries, forex trading is a lucrative investment opportunity. Every day, companies and investors make billions by purchasing and trading currencies. However, it does take a significant amount of experience and skills to make lucrative forex trades. When choosing any financial management platform, it’s important to look for trustworthy providers. Used by traders in more than 180 countries and fully regulated, ForexTime’s FXTM software is a safe bet for foreign exchange trading. It’s positioned as an automated currency broker. Currently, you can operate with both fixed and variable spreads, and when you’ve completed a trade, the company processes withdrawal requests within just a few minutes. You shouldn’t have any issues using the software, either. All you have to do is sign up for an account, upload your verification documents and transfer funds before trading. You can access the software on Windows, Mac, iOS and Android devices, and the company states that it covers 100% of your deposits up to $1,000. If you’re looking for an advanced forex trading and analysis tool, it’s worth checking out Trade Interceptor. Through the software, you can quickly find and track the best currencies and stocks to put your money in. It offers 14 advanced chart types, as well as 160 intelligence indicators and drawing tools. The software was previously only available on desktops, but it’s finally made its way to mobile devices. There’s a touch-enabled trade management functionality, as well as split-screen and quad-screen modes so you can can keep your eyes peeled on several markets at the same time. 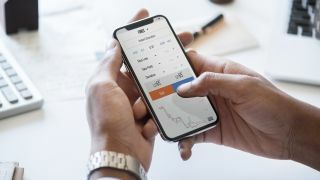 There are plethora of built-in trading tools too, including an economic calendar, data release alerts, a trading simulator, intelligence reports and a risk scanner. These have been authorized and regulated by the FCA in the UK and ASIC in Australia, which helps to boost customer trust. The app is free to download on Android and iOS. Clearly, an important part of forex trading is converting and making sense of a multitude of currencies. That’s a pretty complex task if you try to do it yourself, but luckily there’s plenty of software out there to help - and FxWare Currency is a great example. TD Ameritrade is one of America's biggest and more established trading platforms, and offers a wide range of investment vehicles for trading, not just forex. National Futures Association, which regulate futures brokers. The information is presented in a clear and easy-to-read way, and it really does underline the risks that need to be considered. So if you're new to currency trading, you could feel better prepared and eased into managing not just trades but risk with more confidence, rather than rushing into dangerous leverages that can lose you money fast. But while that's a big plus for TD Ameritrade, it is a wide platform that covers a comprehensive range of trading products, not least stocks, futures, and options. So if you're looking to focus only on forex you may find the platform sometimes clunky by comparison to dedicated forex trading platforms, especially when it comes to comparing currency pairs. Even still, the introductory and supporting materials are worth getting to grips with, and if you want to get involved with more than currency trading you're in an ideal place to expand your investment strategy into other products.